There’s a world at our feet few even notice, full of untamed beauties with bizarre names and even more bizarre stories. Bloomin’ Tales brings the history of these ultimate survivalists – the wildflowers – to life with exciting legends passed down from those who settled the land: the French, Scottish, Mexican, and English, along with the original settlers, the Native Americans. Let award-winning author and garden writer Cherie Foster Colburn (Our Shadow Garden, Heirloom Bulbs for Today) introduce you to seven of her favorite plant legends from the hundreds she’s unearthed creating school learning gardens. Artist Joy Fisher Hein (Miss Lady Bird’s Wildflowers, David Crockett: Creating a Legend, Sam Houston: Standing Firm), winner of numerous awards for her lively paintings, illuminates ecological detail as only a Master Naturalist could. Look for hidden pollinators, companion plants and the native habitats for each of the featured wildflowers and listen to the unique story each one tells. You’ll never see wildflowers in the same way again. 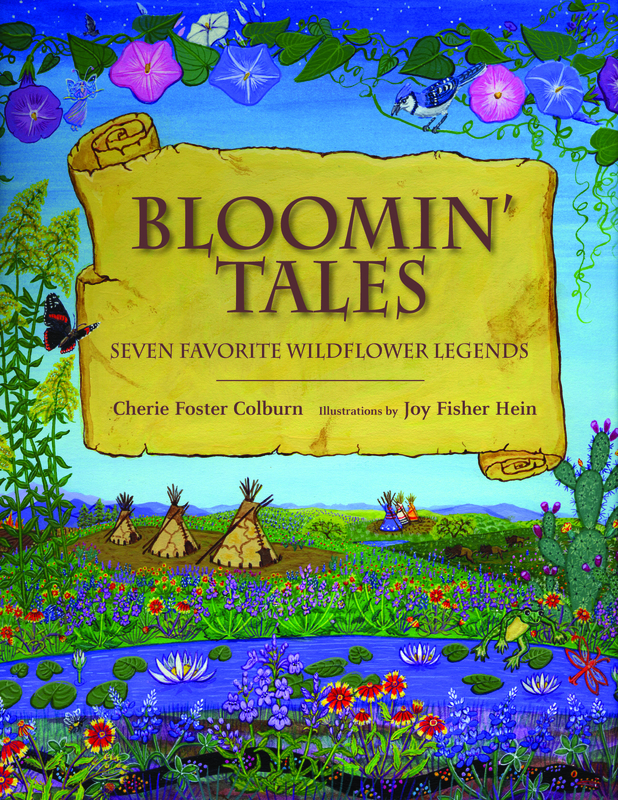 Bloomin’ Tales: Seven Favorite Wildflower Legends is currently available for pre-order on Amazon.